MSI finally unleashed its new gaming laptop out to which many ardent fans and gamers will be delightful with. The GX740 comes with a 17-inch display and is a Core i7-powered gaming laptop. What’s exciting about this laptop is that it packs in some powerful features that are bound to make gamers and potential buyers jump up and down. 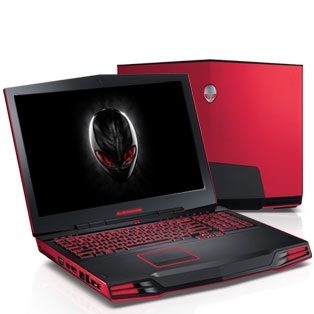 At first glance, this gaming laptop has a very nice design with a cherry red and black hood with a brushed aluminum chassis. MSI has been promoting this laptop as a desktop replacement for consumers as this laptop weighs about 7 pounds. The GX740 works on an Intel Core i7-720QM1.6GHzCPU and an ATI Mobility Radeon HD 5870 graphics, not forgetting with a 1GB of dedicated DDR5 memory. Since it’s a gaming laptop, sound has to be good so MSI roped in SRS-certified speakers, Cinema Pro technology and DirectX 11 graphics support to make the gaming journey even more pleasant. The MSI GX740 is available now at the price of $1,399.99.